All of our markets are certified by FARMA, the National Farm Retail and Market Association. Certification identifies genuine farmers’ markets where customers can buy local produce direct from local farmers, growers and producers using locally-grown and raised ingredients where possible. 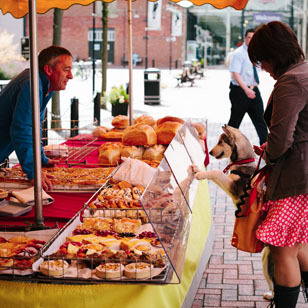 Our markets are a venue for local specialities, traditional apple juices, a stunning selection of mouth-watering cheeses, seasonal fruit and vegetables, fresh herbs, top quality meats and dairy produce, freshly-baked bread and home-made cakes, garden plants and much, much more. Some markets even have quality local crafts. 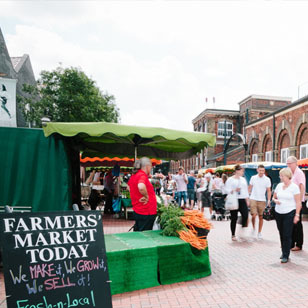 While you're at the market, visit the popular Farmers' Market Information Stall, where you can pick up seasonal recipe sheets, more information about farmers' markets nationwide and enter our monthly competition to win a bag of farmers’ market goodies. 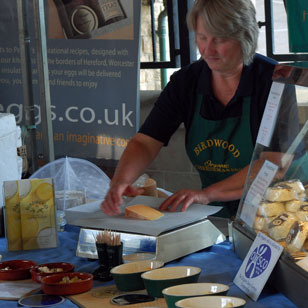 Our speciality producers and growers will be happy to tell you how your food was grown, and how you can prepare it and cook it when you get home.